As you may have deduced out by now, I am not a prepper, but more of the common sense preparedness type. I rarely, if ever, purchase dedicated items to lock away just in case; everything I own I use on a daily, weekly, or monthly basis. 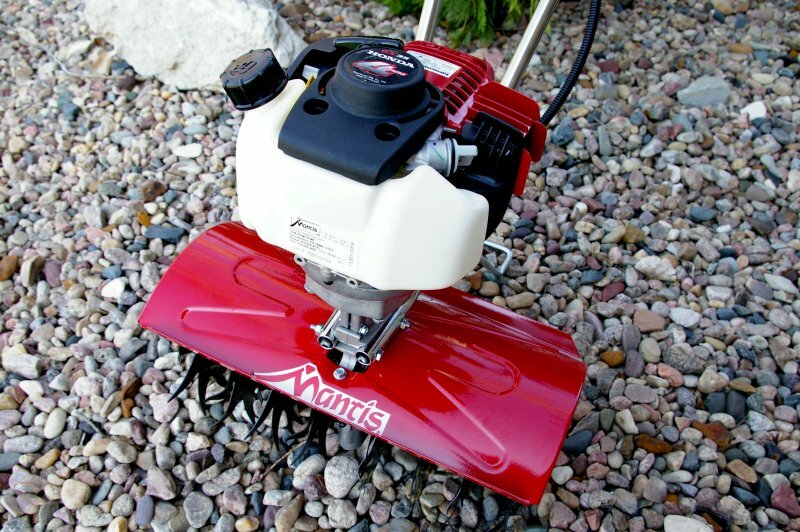 One of those very handy multipurpose produce producing products is the Mantis tiller. Last year Mrs. Pandemic and I tested out a small container garden and the results were impressive so this year we decided to expand and create several victory gardens to lower our overall food costs. Victory gardens were originally created in 1917 during WWI after food shortages were widespread. The idea of a victory garden was simply reduce the burden on the general food supply, make public grounds fruitfully productive, add fresh produce, fruits and herbs onto the table of whoever was tending the garden and be morale boosters during a rather depressing time. Victory gardens were also called war gardens and were planted at private residences and public parks all over the world. Let’s be honest, food prices have nearly doubled since March of 2010 (don’t believe me look it up), and at today’s grocery prices even a few extra homegrown vegetables and fresh herbs over a summer and fall can fund a new tiller and few extra range days. After a brief discussion and approval from our division’s developer, I was given permission to use space on the adjacent empty undeveloped lots next to our house for our victory gardens. 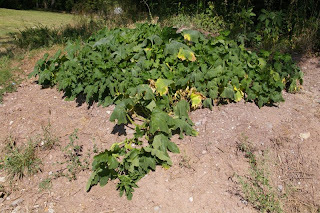 Our plan was to till up two 10’x20’ plots for pumpkins and produce, but we did not have a tiller and there was no way I was going to hand cultivate the hard rocky clay soil. After looking around at options, I drank the Kool-Aid and bought a Mantis XP tiller. 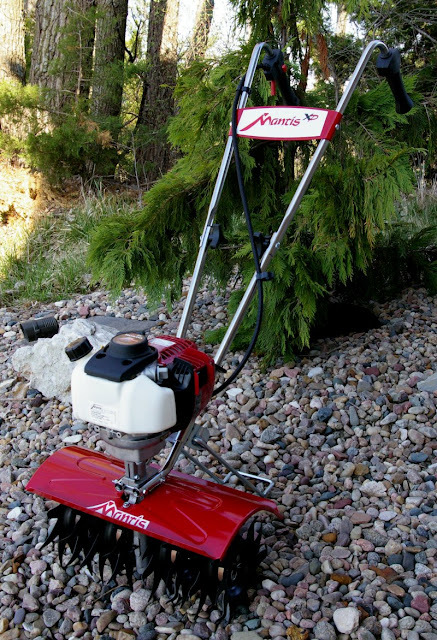 Yes, this is the same Mantis tiller “as seen on TV” that the centurion grandmother is seen using with ease in the commercials. The XP model I picked up is a more powerful 4-stroke 35cc Honda engine and features wider 16” tines. The Mantis tiller has definitely surpassed any of my expectations and shocked me with its power and ability to turn rock hard ground into a garden. Typically I buy the smallest implement I can find to do the job and generally find I have purchased more than adequate for my task. I am not the guy in the neighborhood who has the 700lb snow blower with tracks on it the size of a small army vehicle. I have a tiny used push lawn mower I was given for free that will not die after over seven years of flogging. My Honda snow blower is the smallest gas 4-cycle model made and starts every time, has eaten 24 inches of snow, and takes up less room than my mower. Honestly the last thing I wanted was another implement to further take over free areas and the extra bay of my already cramped garage, but I also wanted something powerful enough to take on the hard clay and rock strewn soil at hand. 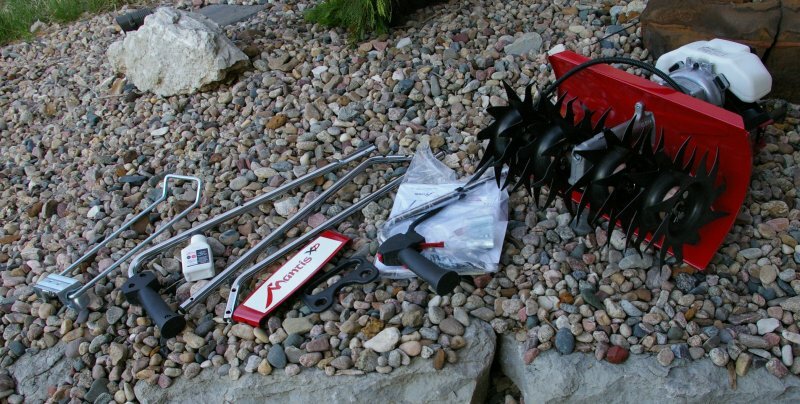 The Mantis seemed like the brilliant small but powerful solution to my conundrum all backed by a money back guarantee if I didn’t like it; so I whipped out my credit card for the $599 Mantis XP tiller/cultivator. 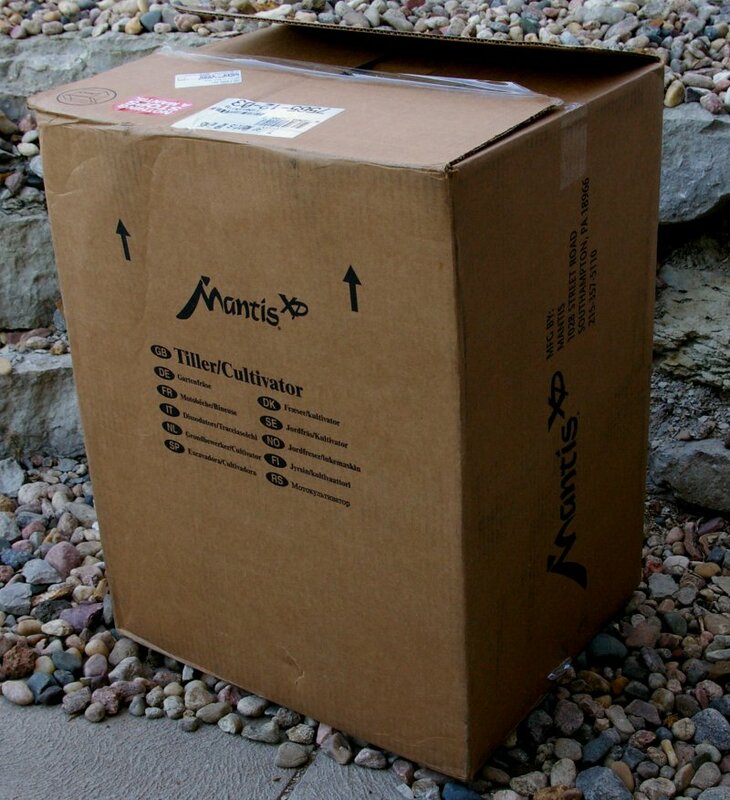 The Mantis XP arrived in a single mini-fridge sized box partially assembled and only required about 20 minutes of assembly. I will note, do not “wing it” during assembly or you will be re-reading the assembly instructions and doing it right a second time. Bolt on the handles, kickstand, and tines and you are ready to add the oil to the crankcase and gas up. The first time fire up has a few special instructions, however after that, the engine fired up the first pull like any other Honda engine I own. Mantis should start offering automotive paint jobs because the finish is better on the red dirt shield than many car finishes. So far the baked enamel finish has held up to the hard clay and rocks smacking into it. One of the things I love is that the entire Mantis XP only weight 34lbs. Pick it up and carry it where you need it, hang it on a wall, or toss it up in the back of the truck in one easy motion; try that with any other tiller. 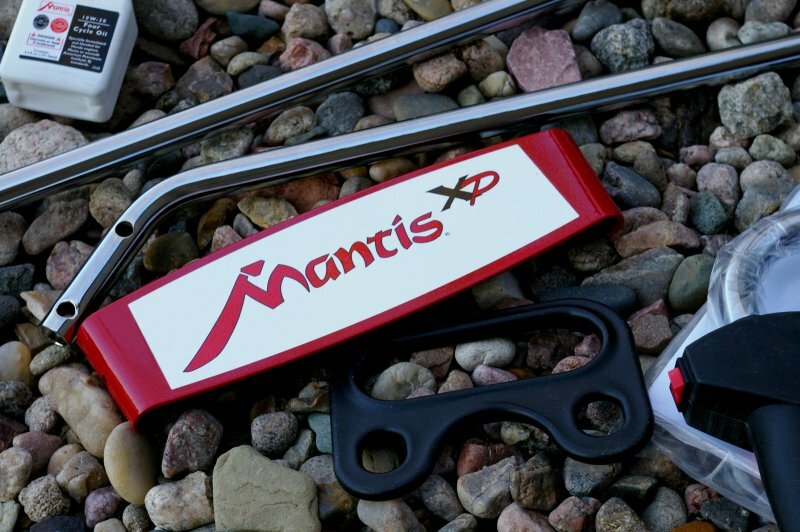 The Mantis XP also features a handy kickstand and carry handle. Even the larger Mantis XP feels like you are operating an oversized weed whacker. 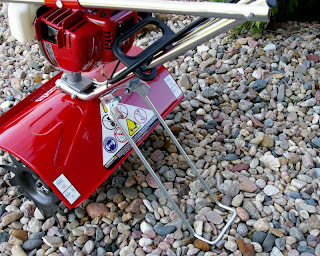 Despite its small size and low weight the tiller has extremely high build quality with very good overall fit and finish. 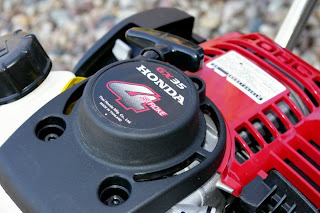 Power Plant - Where possible I always try to buy American however my experience with Honda 2 and 4-cycle engines has been delightfully problem-free and the Mantis features these super dependable Honda engines. The 4-cycle 35cc GX35 engine is the same versatile engine you see on many other implements from other manufacturers. 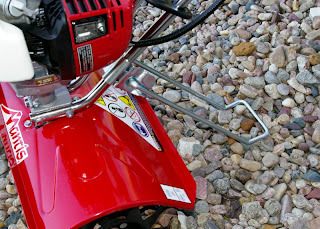 The motor also separates from the tiller assembly easily and I could see where the engine could be used easily to power other devices for other purposes should a crisis occur... a torquey little gas engine is a versatile handy thing to have around. I am planning on going ahead and creating or finding a drive attachment for pulleys just in case. The 4-cycle design prevents the need for mixing oil and gas and delivers even more torque all while being cleaner burning. As noted by the manual you will eventually need to change the crankcase oil, however due to the weight of the tiller, you can just turn it on its side to drain the crankcase and then refill with fresh oil. For normal operation, all you need is to fill the tank with regular unleaded gas and forget about having to mix the gas and oil. Size - The compact size was the most attractive thing for me and still is a big selling point. I say this with emphasis, “I can hang it on the wall”. That saves me a ton of room compared to some other mechanical monstrosity of a tiller. If you want a smaller footprint the handles even fold down. 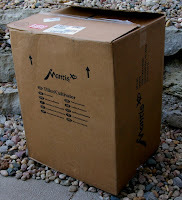 The size also allows you to get in and around small gardens and flower beds. 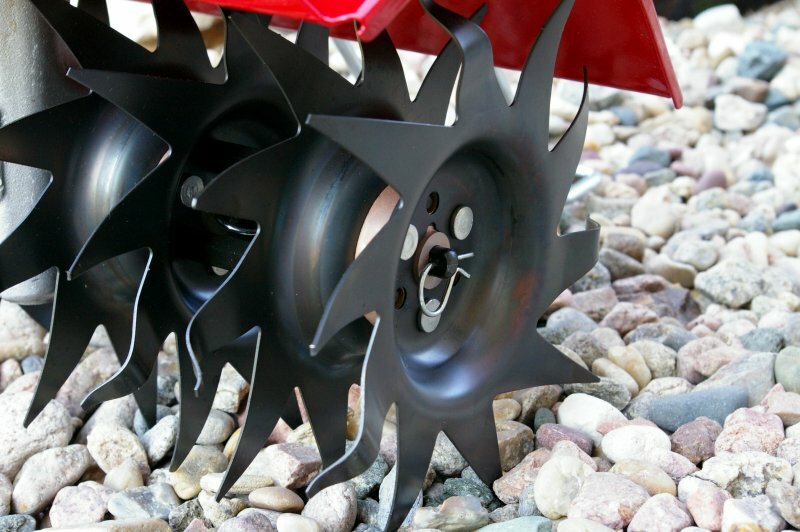 If you need a narrower tiller, a set of tines can be removed from each side with a simple pull of a pin to give you narrow between row cultivation capabilities. 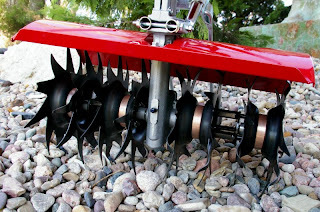 Tilling & Cultivating - The Mantis XP’s handle controls provide shutoff and variable speed throttle controlled tilling delivering over 240 RPM which I will tell you are some fast spinning tines. The 16” tilling width and 10” tines surprising make short work of even decent sized gardens. Reverse the tines and you can have a control cultivating/weeding depth of 2-3 inches. 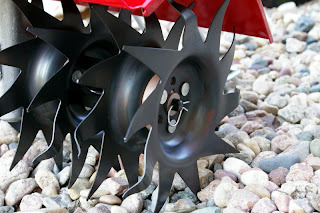 The tines are a reversible tilling or cultivating serpentine design bit hard and are guaranteed for life; bend them or break them and Mantis will replace them for free. In my area, we have a ton of rocks and I found the Mantis just kicked up small to bread loaf sized rocks without missing a beat or bending a tine. I did have a couple situations where a rock caught between the tines and the dirt shield; however this only required turning the tiller off, removing the rock, and restarting. In the TV commercial, you see Granny Mantis tilling effortlessly, however unless granny is freakishly strong she must not have been breaking new ground made from the same clay around my house. As with any tiller, breaking new ground and hammering through rock hard clay soil is a forearm and shoulder workout. I will say it was FAR easier than with any other tiller used in the past, however you will be sore the next day. When breaking new ground, expect the tiller to start bouncing a bit until you let off a little on the gas or work back into a soft spot otherwise breaking new ground was no harder than just holding on to what feels like a miniature sled dog team and letting the tines dig in and do the work. I was actually stunned how aggressively this tiller breaks up new ground. In less than an hour I had broken the ground and turned the soil on each plot. How this tiller tears into hard ground is impressive. Initially you think this little tiller is never going to pull this off and then it does it better and faster than the big heavy rigs. The next day I tilled in a couple bags of manure into each garden to give the plants some nutrition to feed from. Once the garden is tilled the first time, the experience of tilling or re-tilling reverts back to the ease of tilling as seen with Granny Mantis in the TV commercial. The blistering tine speed in a previously tilled garden produces an incredibly fluffy fine soil which allowed my pumpkins, carrots, lettuce, spaghetti squash and tomatoes from last year's Seed Storage containers I was cycling through to take off quick. During the growing season I used the Mantis XP with just the center tines installed to maneuver between the rows until the pumpkin and squash vines took over. Despite the drought this year, my rain barrels minimized my need to water my gardens from a city water source and I have ended up with decent producing gardens. Based on prices at the local farmers market and my production of pumpkins and squash I easily have paid for my Mantis XP tiller/cultivator in a dozen spaghetti squash meals with fresh sauce from my garden tomatoes and herbs, pumpkin bread, pumpkin pie and my favorite pumpkin ice cream topped with caramel rum sauce. We have also had countless salads and canned at least a couple batches of pasta sauce and pizza sauces for use in our Roundboy Pizza oven. From the looks of my carrot patches, I should have a couple bushels of heirloom carrots as well. All this production is thanks to a well tilled and cultivated garden by my Mantis XP that was previously a weedy unused combined 400 square foot area. Just think if we all started converted just a little of our yards and unused lots and public spaces into productive gardening spaces. Based on food prices we may all be forced to do so. As a child through my teen years, I “operated” a two acre strawberry patch which helped me fund my first year of college and a whole lot of fun times in high school and still left plenty of strawberry for jam and pies for the family. Next year, my hope is that the division will allow me and others in the neighborhood to expand our gardens; after all this is just less for them to have to mow and take care of and offers all of us neighbors a great reason to get together and trade produce. In my opinion, Victory Gardens worked then and they work now, however a Mantis XP tiller makes the task a whole lot easier and more convenient. 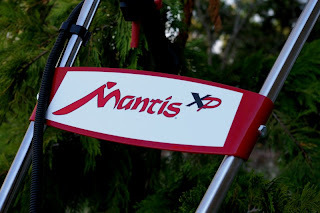 Based on what I have experienced so far and the history of Mantis tiller, I see no reason why my Mantis will not provide me with decades of service. 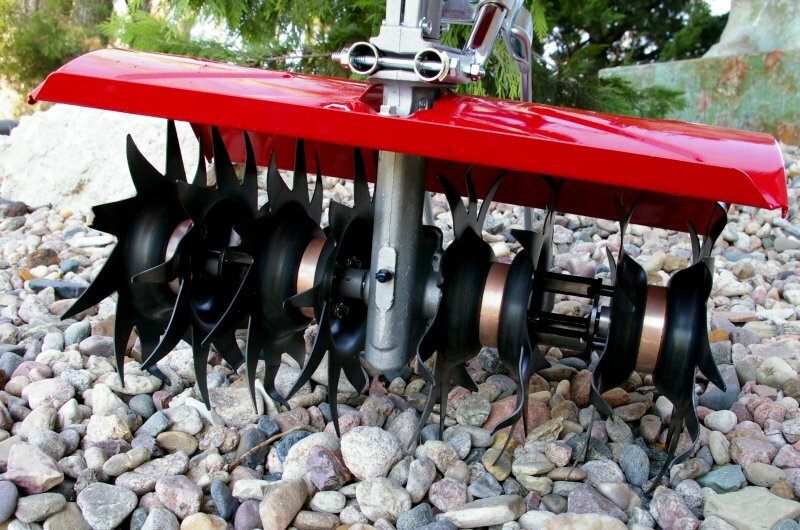 The bottom line is that the Mantis tillers/cultivators do what they say and will surpass your expectations of power, versatility, weight, and size. Now go start planning for next year’s victory garden. Risk-free 1-Year in-home trial; money back guarantee. Easy starting Honda® powered engine. Tills a 16 inch swath. 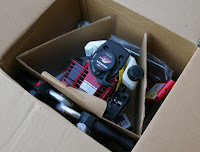 5 year consumer / 2 year commercial warranty. Digs down 10 inches . 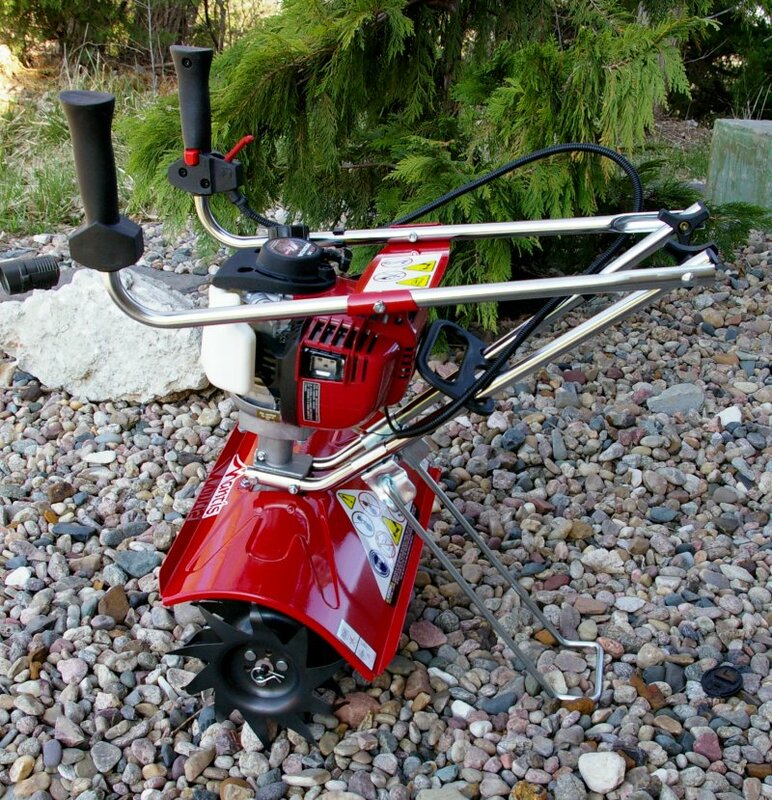 Cuts through hard sod, compact soil… even clay! Fold-down handles for convenient storage. 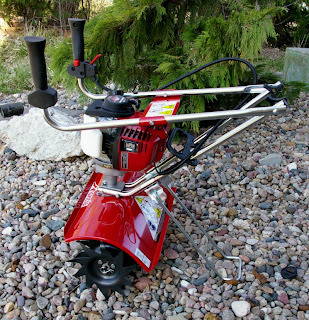 Time-saving optional tiller attachments and accessories available. So versatile, you'll use it throughout the entire gardening season.